Biomolecular researcher Navin Varadarajan has published in Arthritis & Rheumatology journal a first-of-its-kind study -- a comprehensive profile of B cells in rheumatoid arthritis (RA). B cells are lymphocytes, or white blood cells, that make protein antibodies that attack a patient's healthy proteins in patients with RA. "To the best of our knowledge, this is the first study to conduct whole transcriptome profiling of antigen-specific B cells in any human autoimmune disorder," said Varadarajan, whose results portray B cells not merely as autoantibody producers, but also as a source of diverse molecules that can influence proliferation, differentiation and activation of other pathogenic cell types. For every new pathogen encountered, a small subset of B cells activates to make an antibody that specifically recognizes that particular pathogenic protein. 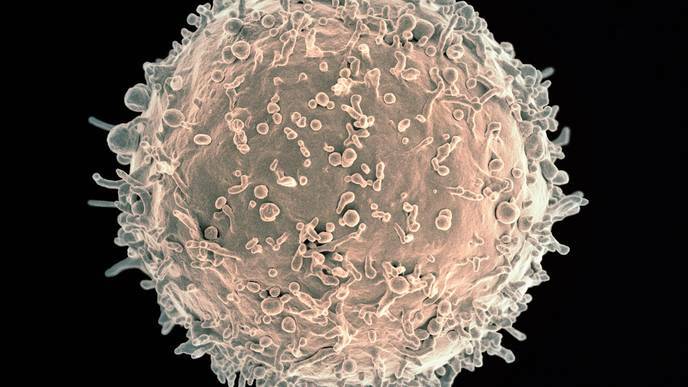 Every person has between 10-100 million unique B cells, each capable of making its own antibody. While antibodies are the natural way the body fights infections, in the autoimmune RA, these antibodies -- that are supposed to fight foreign invaders -- attack the body's own proteins and are thus called autoantibodies. Fewer than one in 1,000 B cells are autoreactive, so to find which one is the culprit, Varadarajan's postdoctoral researcher Ankit Mahendra designed a method to reliably identify and isolate the population, then used RNA sequencing to study all of the RNA being made by each cell. A number of pathways associated with inflammation and protein modification, known to be amplified in rheumatoid arthritis, were found. At the molecular level, the team found two specific differences in the B cells of RA patients -- the inclusion of the protein interleukin 15 receptor subunit alpha (IL-15Rα) and a high amount of the amphiregulin molecule, which can signal adjacent cells. Each was validated at the protein level in independent cohorts of RA patients and prioritized for further studies. Autoreactive B cells, and they alone have the protein IL-15Rα. Varadarajan's team also published a list of FDA-approved drugs, such as Xeljanz (tofacitinib), that target various pathways of the B cells, though they aren't specifically approved for that purpose. The team includes Chandra Mohan, Hugh Roy, and Lillie Cranz Cullen Endowed Professor of biomedical engineering at UH; S. Louis Bridges, Anna Lois Waters Endowed Chair of clinical immunology and rheumatology at the University of Alabama School of Medicine; Sandeep Agarwal, associate professor and section chief of Medicine -- Immunology, Allergy & Rheumatology at Baylor College of Medicine; Amita Aggarwal, Sanjay Gandhi Postgraduate Institute of Medical Sciences, Lucknow, India.